This week has seen Olivia back at school for her first full week and to be honest opportunities for her to be out of her uniform have been sadly missed. Madam herself was supposed to take the lead with this weeks post but in true pre-tween fashion, she told me if I wanted it done to do it myself! 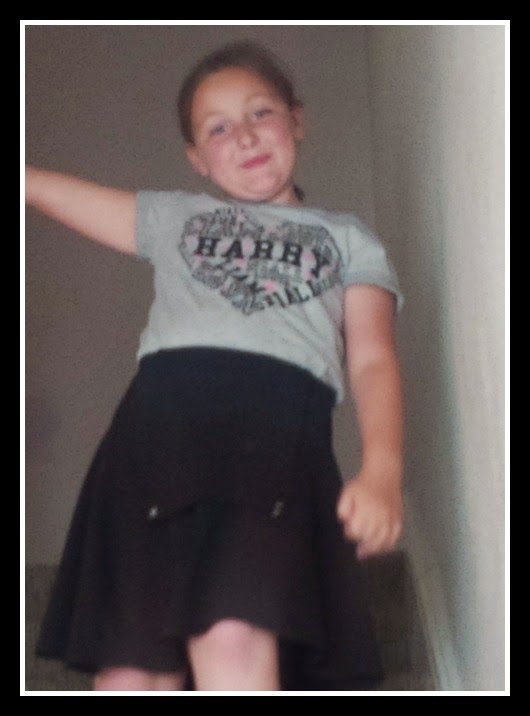 Story of my life that is, which brings me cleverly into this weeks outfit choice 🙂 little 1D song title to link in with her favourite 1D top! I would like to point out that this outfit was last worn a few weeks ago and apologies for awful pics but it was a baking funday at my sister’s and as she doesn’t know we blog it was kinda awkward trying to get pictures to do our Trendy Tot post for that week. So this is kinda like an outtake week, the one that almost was if you like. But….. I do love this outfit I chose it with love as a birthday present for her 8th birthday. Her top is in a heart typography style with all the names of the 1D boys Harry being in the centre obvs! He is, apparently, going to be my son in law one day I have been told. I am sure that by the time he is Colin Farrell will also be my husband! 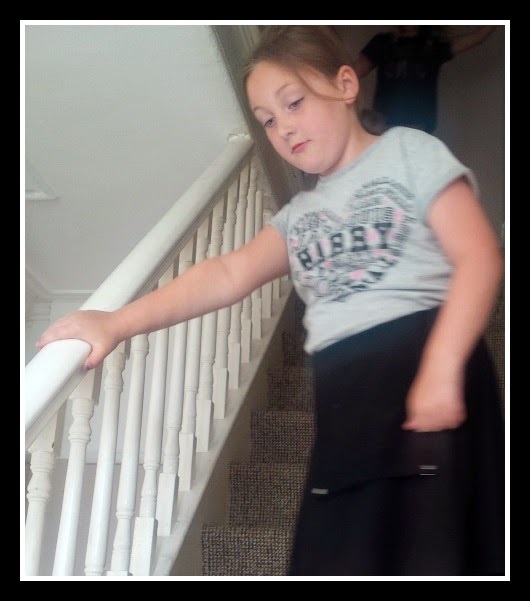 I love the pinafore dress it really suits her but she would pose with it on properly but it looks just as good the way she has it on in the pictures so it’s almost like 2 for the price of 1 really. Again sorry for dodgy pics but I really didn’t want to not link up this week and hopefully normal service will be resumed next week! (I've never got the whole Boy Band thing). I was literally the only girl in my class who wasn't obsessed with Take That! (I was more of an Oasis fan)! haha! Thanks for linking up! !